Budget will be 600 to 700 million Euros. Landed mass on the order of 700-800kg with a 40-60kg science payload.10kg of 'mobile' and some static experiments would be placed on the surface. Final decision will come at the end of 2012 or in the beginning of 2013. "The Moon is an important target location for future exploration by both human and robotic missions. 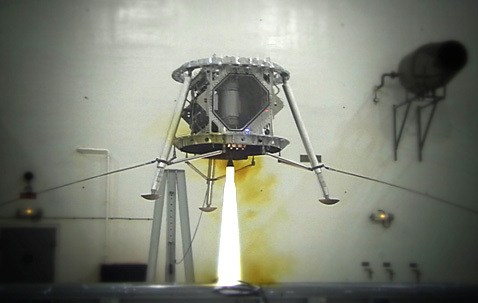 This paper describes the European Lunar Lander mission under development by the European Space Agency (ESA) and the role it can play in enabling scientific research that can support this future exploration." Dang, that's the second ESA project, proposed by Germany, in a few years that get's killed because the other member states refuse to fund it. The first was ARV. Very sad if true. I had to rely on google translate so I couldnt really evaluate the site. I havent seen another mention of it yet on google. This article was about 3 days ago? "If you can't land a probe on the Moon then you can do %$#&." Probably just my own frustration talking.. Can anyone confirm/deny this yet? However, I accurized your translation in a few places and filled in a few skipped words. See attachment. Preliminary SRR actions are being completed by the industrial consortium. The last Mission and System Study tasks are progressing (for example, Monte Carlo campaigns using the Eagle-based Guidance, Navigation & Control simulator). These will ensure a consolidated technical close-out of activities (April 2013), and a good basis for moving forward with work on key technologies. The Lidar breadboarding was completed in February: a design concept is available and was tested at component level. The Moon remains one of ESA’s three exploration destinations. 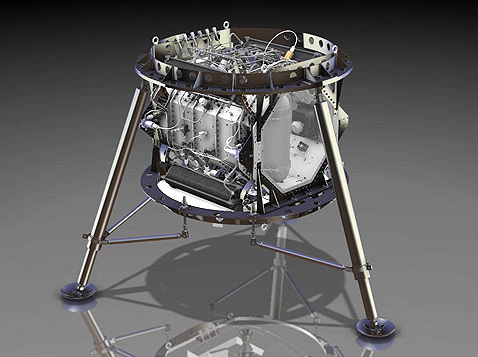 Following the negative outcome for the Lunar Lander proposal at 2012 Ministerial Council, a new approach is being developed in cooperation with Russia on a sequence of missions: Luna-Resurs lander (critical European contributions to be adapted to the Russian platform, such as drill and landing technologies) and Lunar Polar Sample Return (a full-scale cooperation at missionelement level). Exchanges have started with Roscosmos, based on discussions held in 2012. 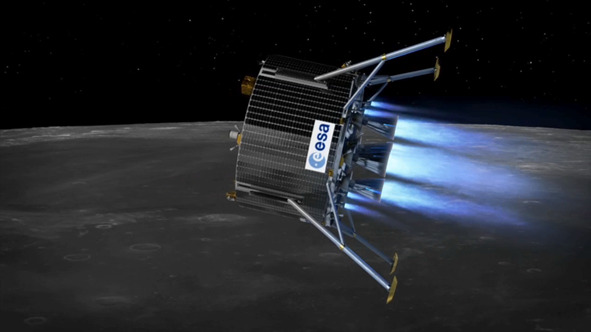 To prepare for the 2014 Ministerial Council, development activities for Luna-Resurs under ESA’s General Support Technology Programme funding are being proposed. HOMER (HOver ManoEuvRe), an Astrium R&D project, is a multi-functional demonstrator which can be used for both landing and hovering applications, HOMER is one of Astrium’s flagship projects introduced to drive innovative technologies and new project ideas forward.